Russ has always wanted me to be his running partner, but I just don’t run. Would love to look like a runner, but it’s just not happening…I lack real motivation. When I need to lose weight, I have giant cysts removed. Who needs running? 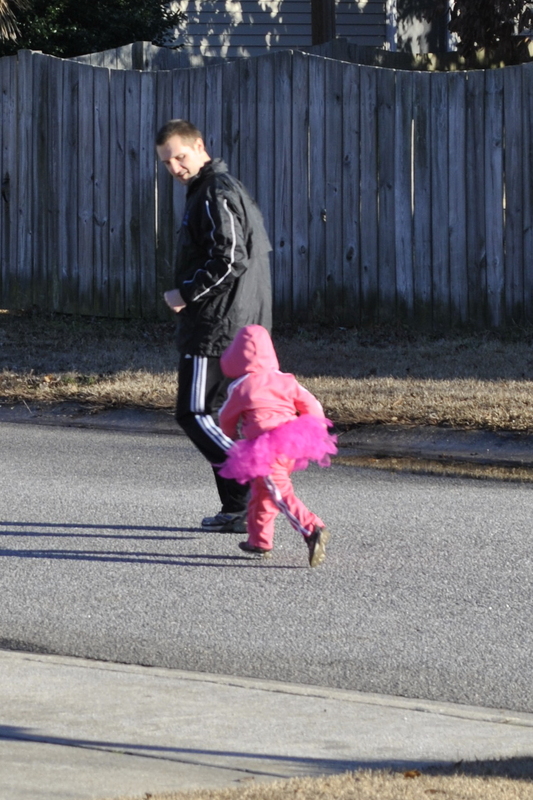 Fortunately I think Russ has finally found his running partner, though she takes really small steps. Russ said he wanted to take Taylor running last week, meaning push her in the jogging stroller. 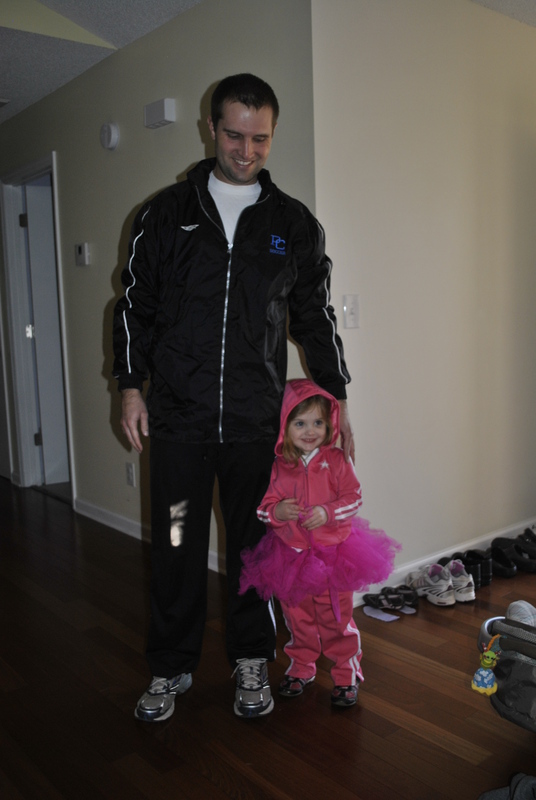 But SHE wanted to run with daddy and wanted to wear running clothes…she is a girl who realizes there is an appropriate outfit (costume) for every occasion. Tutus are appropriate for all occasions. Do you make adult sized tutus? I was quite amused by this lady at a recent USC football game sitting in front of us with a giant garnet and black tutu. while i wouldn’t wear one… yes, tutus available in all sizes 🙂 Maybe we should have a reunion… all the college girls & their girls in tutus??? It would at least make a funny picture…admit it… you are both tempted!